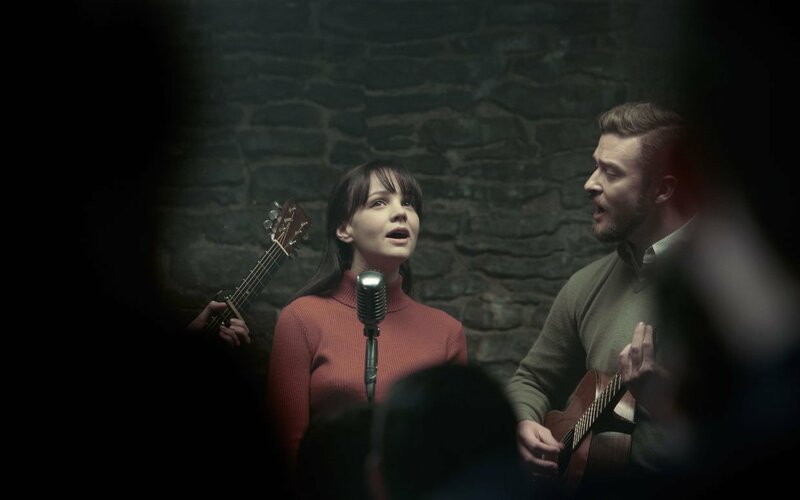 "Play me something from 'Inside Llewyn Davis'"
The weather isn't the only thing that is cold about the Coen brothers masterpiece Inside Llewyn Davis. The photography throughout the film has this icy, dour feel to it which perfectly fits the tone of the experience, yet inside these hazy, moody frames that display so much anger and disappointment we find ourselves filled with joy. The Coen brand of comedy is one I will always sign up for and it means to demonstrate their belief that witnessing misery can be really damn funny. They're right. 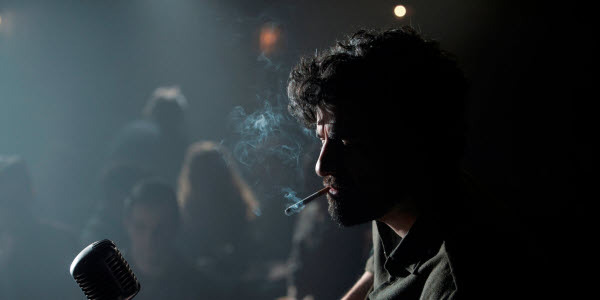 The failings of Llewyn (Oscar Isaac) make for thoroughly entertaining cinema and this is a common way for the Coens to frame their lead characters. While it is inspiring to watch a man fall and get back up, it's a lot funnier to see them fall and fall and fall again. Sounds depressing and it sort of is, but thanks to genius writing and perfect performances it is impossible to be dragged down by their morose protagonists. Within the sadness we are smiling and only want more. Taking place in Greenwich Village in the early 1960's when the revival of folk music was peaking in popularity, the musical score and spot on aesthetic create a completely authentic atmosphere as if we are being transported back to the very era it means to replicate. Oscar Isaac, Justin Timberlake, Adam Driver, John Goodman, F. Murray Abraham and the always superb Carey Mulligan, a terrific cast that no matter how big or small the role is, the pieces fit perfectly. As far as I am concerned, Joel and Ethan Coen have brought us five masterpieces and a few outstanding close calls as well. Inside Llewyn Davis is one of the masterpieces.